The third floor of The Orient is home to a variety of exhibits ranging from the early days of the Oil & Gas Industry to Washtubs, Washboards, and Flat-Irons used by pioneering women in the area. The Wynn Hamilton Room showcases an assortment of mercantile items found in a typical “General Store” of the era. Early Volunteer Fire Department items as well as Masonic, Eastern Star, and other lodge activities are heralded on the third floor. The early heritage of the Hispanics, African Americans, and Native Americans is honored along with special exhibits honoring our early War Veterans. 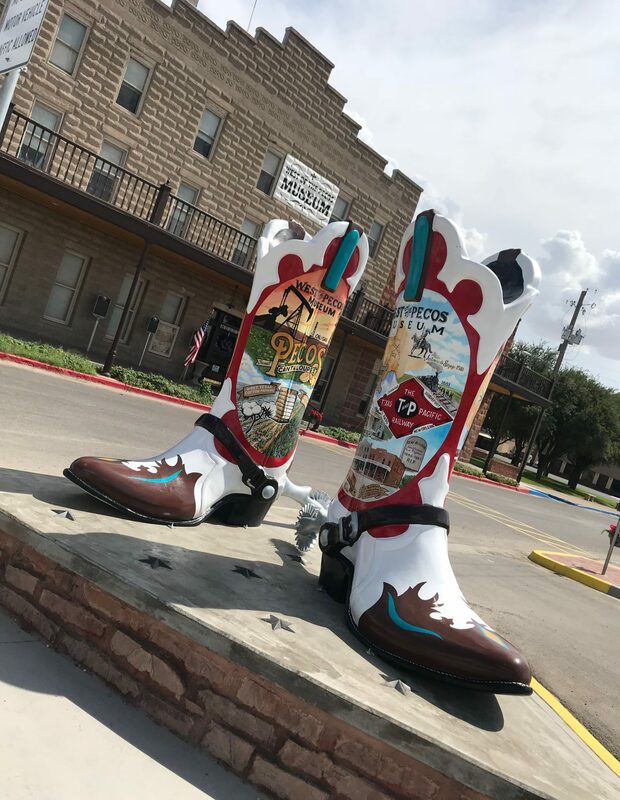 Area towns such as Barstow, Fort Davis, Toyah, Balmorhea, Saragosa, and Toyahvale are featured on the third floor exhibits. There is much more to see than listed here… Come visit and take a step back in time.